When should you engage with us? How do we engage with you? BMIM Cash flow: Who is behind? The Sparks: Sales increasing & cash flow is strong! The Blaze: rising sales and profits! Enabling teams and individuals to create breakthroughs in any field! Learn how the leaders of PwC, Fujitsu and Cisco are gaining knowledge for action needed at the moment to solve critical problems. ▼ Why use the ‘U’ Lab Innovation Workshops? 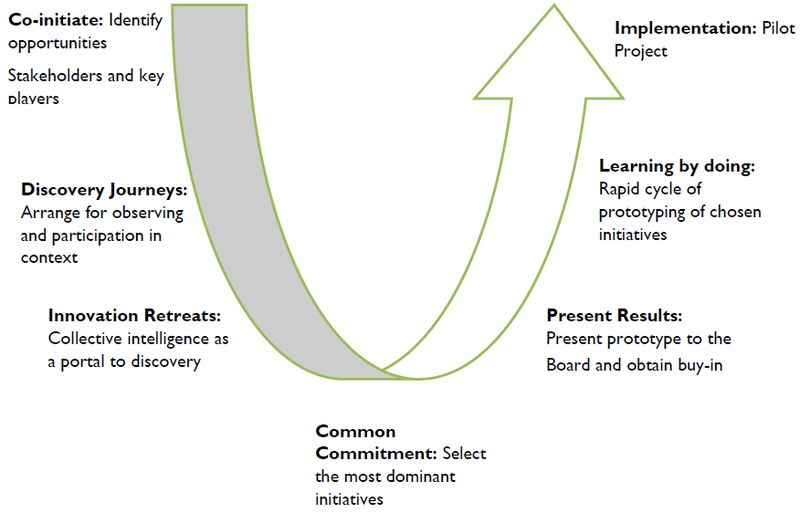 ▼ When to use The ‘U’ Lab Innovation Workshops? BMIM are a team of Strategists and Implementers enabling SMEs to operate efficiently and innovate creatively. We do this by designing and integrating customised programmes to fill in systems and talent gaps using our multidisciplinary capability. Don't hesitate to contact us by any means below, we are happy to answer any queries you may have. © 2016 BM Interim Management Ltd.. ALL RIGHTS RESERVED. Thank you for taking the BMIM Key Stages of Digital Development Assessment. Please fill in your details below to receive your customised reports via email within 48 hours.